The innovation network’s goals are to promote deeper learning at all grade levels and to align instruction and assessment across the state with the expectations of the Profile of a Virginia Graduate. The profile — which was adopted by the state Board of Education in November 2016 — describes the knowledge, skills, attributes, and experiences identified by the board, higher education and employers as critical for future success. Of course, the sharing of educational best practices does nothing to advance the Narrative of Endemic Racism, so it’s not surprising that we read nothing of it in any of Virginia’s newspapers. I didn’t attend the gathering, so I can’t vouch for the quality of ideas exchanged. But the meeting sounds like a win-win proposition. When I hear a group say they’ve figured out how to successfully teach low-income kids and get them into College – I’ll sit up straight and listen. recounts how women were discriminated against back in the day but she also presented a chart showing how many female students are pursuing hard science/STEM degrees these days and it’s about 15%, hasn’t changed in decades. 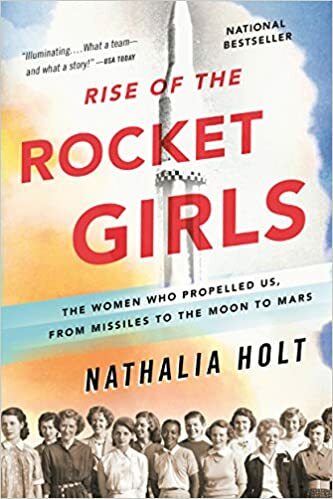 The author – Nathalia Holt – did not know why but I am told that in grade school lots of girls are interested in STEM but by the end of Middle School only a very few remain on that track. Truth is most American kids shy away from real math and science these days and part of the problem is that teachers themselves shy away from it. Kids from other countries are taking the tech jobs.